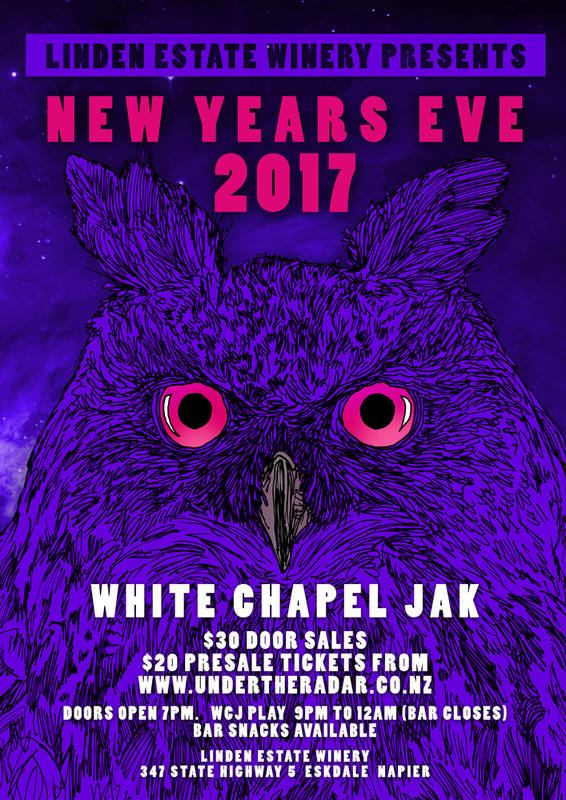 Hawkes Bay.. we are coming to party with you for new years eve this year! Linden Estate Winery is going to be the place to bring in 2018 with style. Three quarters of our band are east coasters and two members are from Hawkes Bay so it always feels like coming home when we head to the bay. We are super excited to be playing on home turf this new year! So...join us. Linden Estate will be serving delicious bar snacks and drinks so you won't be short of a bite to eat and a tasty beverage or two. We will be providing the entertainment so you won't be short of a good tune, a boogie and loads of laughter. Perfect way to see in the new year right!? This is an exclusive event with a very limited number of tickets that are already going fast so we urge to grab your presale now so you don't miss out. We look forward to bringing in the new year with you lovely Hawkes Bay folk! !